Pop! 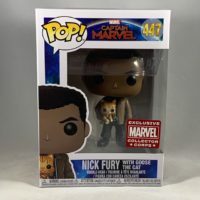 Captain Marvel Nick Fury With Goose The Cat Exclusive Review! 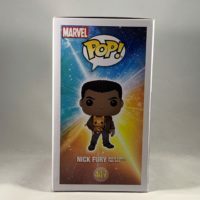 This picture review is for the Captain Marvel Nick Fury with Goose The Cat Exclusive Pop! 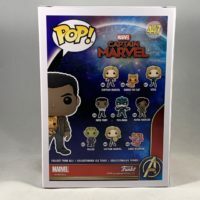 included in the Captain Marvel Collector Corps box! For the review of the full box, click here! The Pop! 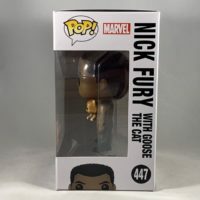 Captain Marvel Nick Fury with Goose The Cat comes in a window display box numbered 447. There’s a “Exclusive Marvel Collector Corps” sticker on the lower right portion of the window display. Continue to get a closer look at the Marvel Goose The Cat Plush! Pop! Captain Marvel – Goose The Cat Review! Pop! 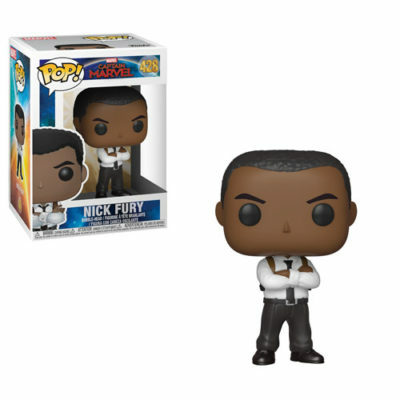 Captain Marvel Nick Fury Review! The Marvel Studios Captain Marvel movie comes to theaters this week and we have a Funko Pop! Captain Marvel Picture Review for you! 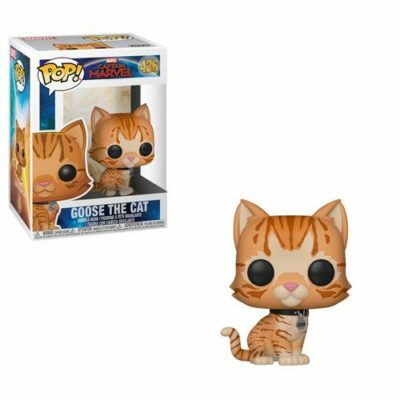 Captain Marvel – Goose the Cat Live Stream! Cat lovers rejoice! Marvel had a Live Stream of epic proportions the other day when they just let Goose the Cat wander around in front of a Green Screen. I’m actually allergic to cats, so this is about as good as it gets for me, since I can’t get close to them! Despite my allergies, I’m a big fan of Goose and I’m looking forward to the movie. Keep up with our Captain Marvel coverage here! Captain Marvel – The Real Star BTS Clip!